Over almost three decades , Oakpark Group has established a strong reputation for providing industry-leading fire alarm solutions across the UK. Able to provide clients with tailored systems the meet even the most exacting environmental standards, our customer-centric ethos and technical prowess is unrivalled. With an acute understanding of the importance of safeguarding your homes and commercial premises against the threat of fire, our products and services reflect the evolving market. We reassure clients by supplying and installing the most efficient and responsive fire alarm system available. Our product certification is matched by expansive sector-specific quality management. The provides our clients with peace of mind and is of great value to fire and rescue services, insurers, and the police. Our comprehensive services include bespoke design, diligent supply and installation, commissioning and full maintenance of fire alarms across the UK. According to Direct Gov statistics, in 2017/2018 fire and rescue services attended 167,150 reports of fires across the UK. 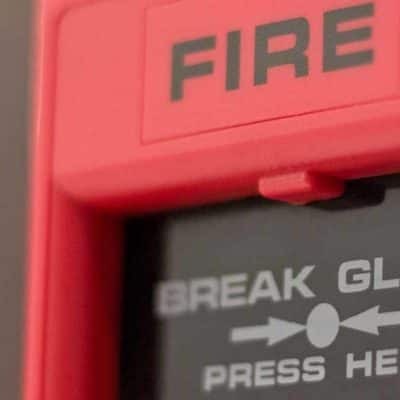 Installing a reactive fire alarm in your home is paramount to protecting your assets, and your family. Our fire alarm product portfolio solely includes alarms at the cutting-edge of innovation. Clearly alerting occupants when fire is detected, our conventional standard or two-wire systems are specifically-designed to detect fire in domestic properties. All alarms are diligently installed to the highest standards. We solely employ engineers with comprehensive experience and notable technical acumen. You can expect minimal disruption to your home throughout the installation process and will benefit from seamless fire alarm installation, merged into the aesthetic of your home, and an industry-leading fire detection system. Our comprehensive experience has seen us supply and complete fire alarm installation to commercial premises of all descriptions. From single to multi-floor offices to school and college campuses, we have provided tailored solutions to a wealth of diverse environments. We can provide you with a system that perfectly meets your needs, providing you with the utmost peace of mind. We emphasise ease-of-operation and partner this ethos with a practical solution. You can choose the fire alarm system that is most-suited to your environment from our comprehensive product portfolio. Our surveyors will then ensure that, once installed, the system is fully compliant with all building regulations and insurance specifications. We offer a range of fire alarm detection sensors, ensuring that alarms can be easily raised in the event of a fire. From heat sensors to smoke detectors – even temperature sensors for computer server environments, you can benefit from having a bespoke commercial system that has been completely designed to your preferred specifications – and features leading technology. With a dedicated network of alarm receiving centres (ARCs), our fire detection systems ensure a rapid response to alarm activation. Once an alarm is sounded, a digital signal is received automatically in an ARC and emergency services are immediately dispatched. Our fire alarms come equipped with a range of domestic and commercial monitoring options. This is integral to ensuring a swift response in the event of a fire. Apart from the obvious threat fire poses to our domestic safety, government statistics state that 70% of businesses that suffer a major fire either never re-open or fail within 3 years. We can supply wireless / radio fire alarms that are at the pinnacle of technological ingenuity. Our wireless / radio frequency alarm portfolio is testament to the superiority of our products. Having installed systems to schools, HMOs and listed buildings, to name but a few, we are well-versed installing alarms in a versatile range of environments, and consistently emphasise a bespoke approach – something that our customers admire. Prior to any installation, we will complete a full RF survey. Our conscientious approach means that we can guarantee exceptional signal strength, irrespective of your environmental location. This assures customers that we can offer innovative services that meet stipulated building regulations. Our fire alarm products are sold with a comprehensive 12-month parts and service warranty. Once the initial 12-month period has expired, we can offer a rolling annual service. Moreover, our engineers are on-call 24-hours a day, 7-days a-week and we always guarantee a swift response. As testament to our customer-centric ethos, we’re happy to service and maintain fire alarms that we ourselves have not sold or installed. We offer a competitive service and maintenance rate and you can be assured that all work is completed by engineers with thorough knowledge and comprehensive experience of all systems. To learn more about the leading fire alarms we supply and install, click the link here.